At Long last, the case has been settled as to the definition of what a “Zero Energy Building” is. The U.S. Department of Energy (DOE) recently released an extremely important report entitled, “A Common Definition for Zero Energy Buildings” that will settle once and for all what constitutes a Net-Zero Energy Building. A building needs to demonstrate over 1-year that it has used no more energy than it has generated with on-site renewables. 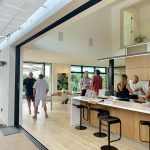 Thus, there is now no such thing as “designing and building” a Zero Energy Building, it cannot be called that until at least 1-year after commissioning and occupancy. ALL types of energy used, not just electricity, factor into the Zero Energy Building Calculations. The calculations take into account the use of natural gas, propane, biogas, etc. Source Energy values, not Site Energy, is used for the Zero Energy Building Calculations. Simply put, Site Energy is the energy used on site, and Source Energy is the sum of all energy required to get the energy onto the site as well as the energy consumed on site. Example: For each kWH (kilowatt hour) of imported electricity used by a building, the energy required to provide that single kWH is 3.15 kWH. For each therm of natural gas imported the source energy is 1.09 kWH. The report provides all the Source Energy Conversion Factors. The good news is that renewable energy exported uses the same conversion values. “Renewable Energy Certificates” (REC’s) cannot be used in the calculations. Only on-site generated renewable energy can be used in the calculations. It’s important to note that the DOE established that the word “Net” really is not required, and so “Zero Energy Building” suffices. So, there are a lot of buildings that have been claimed to be “Net Zero Energy” that cannot now make that claim. They may only have shown that they are Net Zero through modeling, not demonstration. Furthermore, there are purported NZE buildings that have not accounted for energy other than electricity. We applaud the DOE for ending the confusion and arguments as to what constitutes a Zero Energy Building. 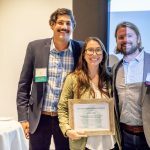 Its position is more in alignment with the philosophy of the most rigorous green building certification program in the U.S., the Living Building Challenge, in that buildings need to demonstrate their performance for a year before certification is granted. We should all put the goals of meeting government mandates for achieving Zero Energy Buildings into a new perspective based upon the DOE definitions. It’s not going to be as easy as a lot of people may have thought it was going to be. And that’s a good thing. We hope that someday there is a full accounting for the True Cost of energy, not the Partial Cost. The True Cost takes into account the cost to the environment (and to humanity) of generating and consuming energy. Yes, that includes the carbon generated and put into the atmosphere. 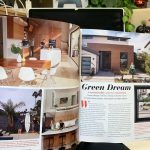 Zero Carbon Buildings? We shall see.